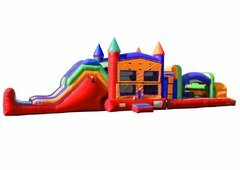 Obstacle Course Rentals | JustJumpAlot.com Virginia Beach VA.
Jump, climb, slide, & race through the obstacles! See who is the fastest, strongest, & the smartest challenger. Obstacle courses provide an arena that will entertain the kids & adults and also add athletic activity to your event. Our inflatable obstacle courses combine slides, climbing walls and obstacles for hours of fun. Dual lane versions allow kids to race each other through the obstacle course for a fun competition. Available in several different size that will fit your event. 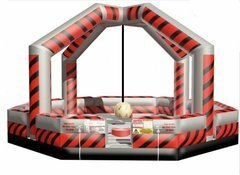 We offer you various Obstacle Course rental options, making Just Jump ALot one of the BEST inflatable rental companies in the Hampton Roads area. 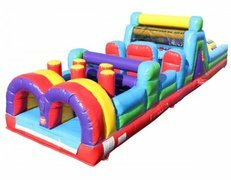 From small to large for the old and young, our selection of obstacle course rentals are available in many sizes that will fit in most backyards. Generators are available to rent for at an additional cost and include the first tank of gas.